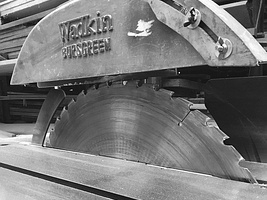 R. Griffiths Woodwear Limited trading as Wychwood Design was founded in 1967 by the Managing Director Mr Ray Griffiths. From humble beginnings manufacturing wooden jewellery and giftware products employing two or three people the company is now an established manufacturer of high quality fitted and free standing furniture for both residential and commercial furniture markets employing approximately 35 people. 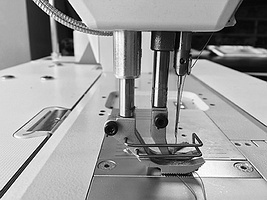 All manufacturing, polishing and upholstery facilities are on the same site at our factory near Brize Norton in Oxfordshire, where the company’s employees combine traditional skills and experience in furniture making with up to date manufacturing methods and computerised technology – full control over all aspects of manufacturing is maintained at all times. The company broadly operates in two areas of manufacture; firstly in a standard range of furniture as featured on this web site, and comprises everything from chairs and sofas through to headboards and mirrors all of which are polished and upholstered to the client’s specifications. Secondly in the production of bespoke furniture items which have been developed in association with interior designers, architects, and specifiers – these include internal doors, wardrobes, studies, kitchens, armoires and almost any kind of fitted and free standing furniture. 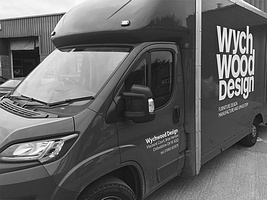 In addition to our standard range of products Wychwood Design are capable of manufacturing almost any piece of furniture required. Production drawings are produced from client’s concept drawings and presented for approval prior to manufacture. Besides the use of solid timbers a wide variety of pre-veneered boards are used and the company has its own veneering facilities allowing the use of more exotic timbers and decorative options. Drawer linings are made of solid ash and are generally set on soft close runners unless required otherwise – handles and other hardware are specified and agreed prior to manufacture. Many different materials are often combined with timber including glass, mirror and metal in the form of chrome, brass and bronze. All of the products that Wychwood Design manufacture are polished to the client’s specification. Besides the standard range of stains offered, the company also offers a colour matching service as well as mixing Pre-cat and AC laquers to RAL and Dulux paint colour references. French polishing, crackle glaze, distressing, dragging and gilding are all applied regularly as are ‘wet’ look high gloss finishes. Samples for bespoke furniture are agreed prior to manufacture proceeding. Wychwood Design employ modern techniques in all of its upholstered furniture, from cutting and sewing, piping, double stitching, deep buttoning, nailing and cushion filling selection, attention is paid to every detail where aesthetics and comfort are of the utmost importance. Cushion fillings can be specified as foam with Dacron wrap, foam with feather wrap, feather and down or fibre filled – loose covers are also offered as an option on dining chairs, armchairs and sofas. Wychwood Design are able to offer 2D and 3D CAD presentation for bespoke work – this can be in the form of line drawings or fully rendered images – these are produced after consultation with clients and can give a detailed image of what to expect after manufacture. We have a small trade showroom exhibiting a selection of chairs, tables and sofas from our current collection which clients are welcome to visit by appointment. We look forward to welcoming your enquiries.